Fractional aircraft ownership offers individuals and businesses all the benefits of full aircraft ownership and more at a fraction of the cost of owning a whole aircraft and without the management responsibilities. Fractional aircraft ownership makes it possible to calibrate the size of your investment to meet your air travel requirements. 1. You purchase an interest in a specific aircraft tailored to your business and/or personal transportation requirements (i.e., the number of hours you actually fly each year, where you go, the typical number of people flying, baggage needs, etc.). Since fractional aircraft ownership management agreements are typically written for five years, you are essentially acquiring a “bank” of hours that you can access over that period. You can typically exit the fractional aircraft ownership management agreement after 24, 30, or 36 months, depending on the aircraft type and interest size you buy. Fractional aircraft ownership interests equate to annual blocks of allotted flight time, which typically start at 50 hours of occupied hourly time annually. 2. You acquire an “undivided interest” similar to the “tenancy-in-common” model in real estate ownership. You retain financial and legal ownership over your fractional asset in a specific serial-numbered aircraft registered with the Federal Aviation Administration (FAA). The fractional program manager does not permit it to be affected or encumbered by the financial actions or requirements of other owners. 3. In some programs, you may own the asset for ten years or more. At the end of the initial fiveyear period, you simply renew your management agreement at prevailing monthly and hourly rates if you choose to retain your ownership and stay in the program. In other programs, you may be required to sell back your interest and repurchase a new interest every five years. 4. You pay a monthly management fee to cover fixed costs, such as the cost of pilots, pilot training, insurance, hangaring, regular refurbishment, and administration. 5. You pay an occupied hourly rate each time you fly to cover direct operating costs such as fuel, aircraft maintenance, landing fees, catering, etc. You are typically charged only for occupied flight hours plus six minutes of taxi time at the beginning and end of each flight. 6. The fractional program manager manages your interest and provides or arranges total flight crew management, trip scheduling, ground support, catering, ground transportation, and all maintenance. 7. You are guaranteed availability, typically with as little as four to ten hours’ notice, depending on the aircraft type and interest size you acquire. Fractional aircraft ownership is not a timesharing program where you do not have access to your aircraft if one of the other owners is using it. 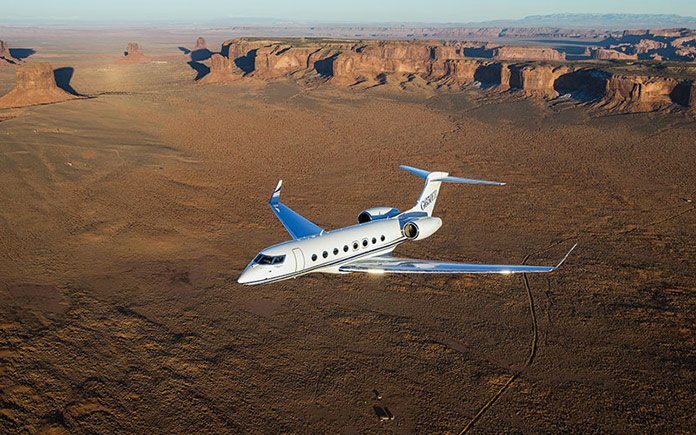 Good fractional aircraft ownership programs unconditionally guarantee that, when you call for your airplane, either your aircraft or a comparable or larger aircraft will be dispatched. 8. If a particular trip requires a different type of aircraft to meet your travel requirement, you may be able to exchange and utilize other aircraft types in your operator’s fleet at a predetermined exchange rate. Some providers have international programs which allow owners traveling abroad to exchange regardless of where the fractional interest was purchased. 9. If you choose to leave the program for any reason after a minimum obligation (depending on the aircraft type and interest size you purchased), most fractional aircraft ownership companies guarantee to repurchase your ownership interest at fair market value (i.e., what an informed and knowledgeable buyer and seller, each under no obligation to complete the transaction, would agree as the price for an aircraft, considering the date of manufacture, usage, where the plane resided, and its maintenance history) less any applicable remarketing fee. Over the past several years, some operators created additional hurdles in terms of buying back shares from their owners. This makes the program operator’s financial wherewithal an even more important consideration for you as a fractional aircraft ownership buyer. Fractional aircraft ownership provides all the advantages of whole aircraft ownership – and more – at a fraction of the cost. Availability is guaranteed, monthly management costs and occupied hourly rates are guaranteed, and the liquidity of your investment is sometimes guaranteed. The fractional aircraft ownership provider will usually guarantee to buy back your fractional interest at fair market value less a remarketing fee. Fair market value is what an informed and knowledgeable buyer and seller, each under no obligation to complete the transaction, would agree as the price for an aircraft, considering the date of manufacture, usage, where the plane resided, and its maintenance history. Fractional aircraft ownership is such a good idea, in fact, that many Fortune 500 and other companies with flight departments of their own use fractional aircraft ownership to supplement their fleets, thereby providing expanded and versatile transportation services to their executives. Others use it as their primary means of private air travel ensuring uncompromised safety, security, comfort, and privacy for themselves and their loved ones. With your fractional aircraft ownership interest, you gain access to an entire fleet of private jets through an exchange agreement with the other owners in the program. You can often select an aircraft type different from the one that you own to satisfy a specific trip requirement. Typically, downgrades to smaller or lighter aircraft are guaranteed while upgrades to the larger and heavier jets are subject to availability. For example, you can dispatch a light or midsize cabin jet for a few passengers traveling short to medium distances, or you can schedule a large cabin jet to fly a greater number of people non-stop across the continent. With fractional aircraft ownership, you are able to match your capital investment precisely to your air travel requirements. For example, if you want to fly 50 hours a year in a light cabin jet that has a value of $9 million for the entire aircraft, you can purchase a 1⁄16 ownership interest for less than $600,000 rather than buying the whole aircraft. As a result, you save over 93% of the out-of-pocket cost or approximately $8.4 million. Further, your maintenance costs and hourly rates are predictable over the duration of the fractional aircraft ownership agreement and, because they are pro-rated based on the number of hours you have access to annually, will be significantly less than if you owned the whole aircraft. Most programs offer leasing and financing alternatives as well as outright purchase. Depending on your individual circumstances, there may be tax advantages to fractional aircraft ownership. For example, if you use your ownership interest for business purposes, there may be tax benefits available, including depreciation. You should consult your tax advisor for guidance on these potential benefits. Many individuals and businesses find there are significant advantages to fractional aircraft ownership above and beyond the cost savings versus whole aircraft ownership. They prefer fractional aircraft ownership’s simplicity since the fractional aircraft company recruits, trains, and manages pilots and also manages and maintains the aircraft. They simply pick up the telephone, call their fractional aircraft program provider to schedule their trip, and an aircraft is dispatched to them at their desired location. A good fractional aircraft program is backed by a superior infrastructure – including pilot training, in-house FAA-licensed flight dispatch, in-house FAA-approved meteorology services, close maintenance supervision, flight planning, dedicated customer service representatives, security, and quality control functions. Most critically, they operate with an uncompromising attentiveness to safety and security. Some fractional aircraft programs offer pre-paid, short-term subleases of fractional interests in the form of a jet card, typically 25 hours at a time. Before choosing a jet card program, make certain that you will have access to the same fleet of aircraft and operational infrastructure used in the fractional aircraft ownership program, otherwise you may be in what is essentially a charter program.